Earthbags Gone Wild in the Philippines! 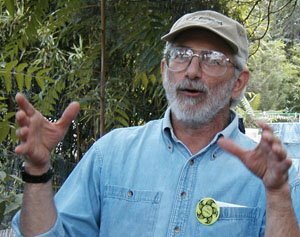 One of the most anticipated speakers at the recent Natural Building Colloquium in Santa Barbara, California, was David Eisenberg of the Development Center for Appropriate Technology (www.dcat.net). David and his associates are tireless advocates of incorporating sustainable principles into existing building codes. He is an eloquent speaker, who can motivate virtually any audience, from dusty natural builders to formal building department officials. He knows how to gain their empathy by appealing to their common humanity. Under the “alternative building provisions” of the codes, if the plan is stamped by a professional architect or engineer, then the authorities won’t change them, partly because they don’t want to be responsible. 1. Builders do good quality work. 2.Applicants meet the need of building authorities to feel good about the safety of projects. 3. We improve public awareness through publicizing the sustainable building that is done. 4. We make an effort to develop good relationships with building officials. * Identify key sustainability issues and find ways to address them in the land use regulatory process through new standards, incentives, and the elimination of barriers. * Analyze how current approaches to zoning, such as performance and form-based systems, must evolve in order to promote sustainable communities. * Explore the nexus between sustainable land use planning and regulation, drawing upon examples from progressive communities that have adopted sustainable land use provisions. * Develop and Implement a sustainable zoning code framework. * Educate end-users, including local officials, developers, citizens, and professionals in order to foster awareness of how communities move towards sustainability. * Act as a catalyst to bring various disciplines together – from agriculture, health, design, planning, etc. to form a coalition to support and promote sustainable development codes. David emphasizes that it is more important than ever to bring a broad range of disciplines together to fashion integrated concepts for developing a truly sustainable future. His organization can use all the help it can get to further these objectives. This is very interesting thought. It does seem that building code changes will need to occur to ensure the future of not just energy-efficient but also green building for residetial properties. It is a certainty that there will be much resistance, but very exciting that these changes could one day be reality.